I was pleased to take part this week in an important gathering at Coolidge Hall at the Topsfield Fair Grounds. The Wreaths Across America organization is traveling in a caravan of vehicles on a journey to deliver wreathes to Arlington National and at locations along the way. 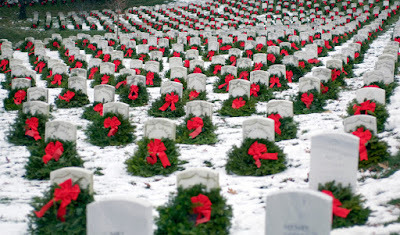 Each December, volunteers place wreaths on individual veterans' graves in over 1,100 locations throughout the U.S. 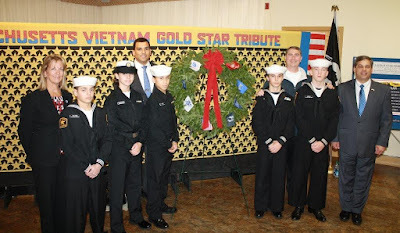 Leaders of the organization presented the traditional red bowed evergreen wreaths to local elected officials from participating communities across the North Shore. 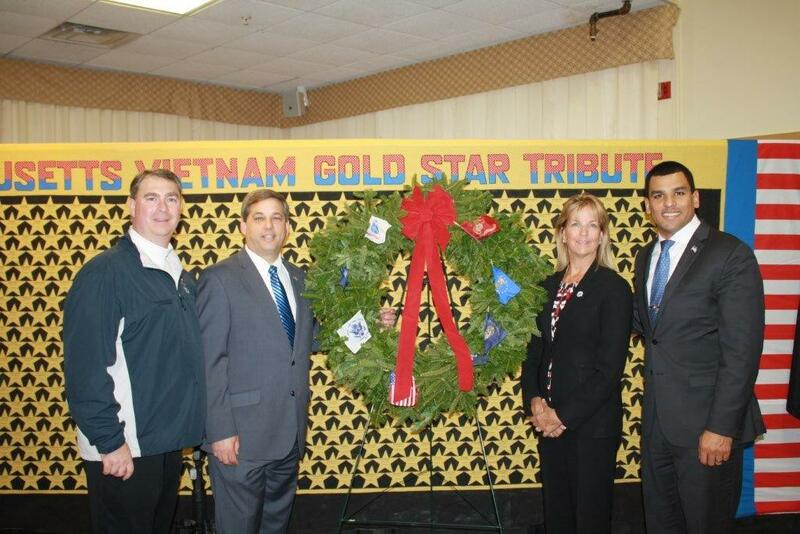 Each of these wreaths will be placed in cemeteries and other distinguished public places. The Coolidge Hall was full and energetic. We were joined by Department of Veterans' Services Fransisco Urnea, Senator Joan Lovely, Representative Brad Hill, local elected and public safety officials, veteran service officers, leaders of volunteer veteran’s affiliated organizations, Gold Star families and private citizens. 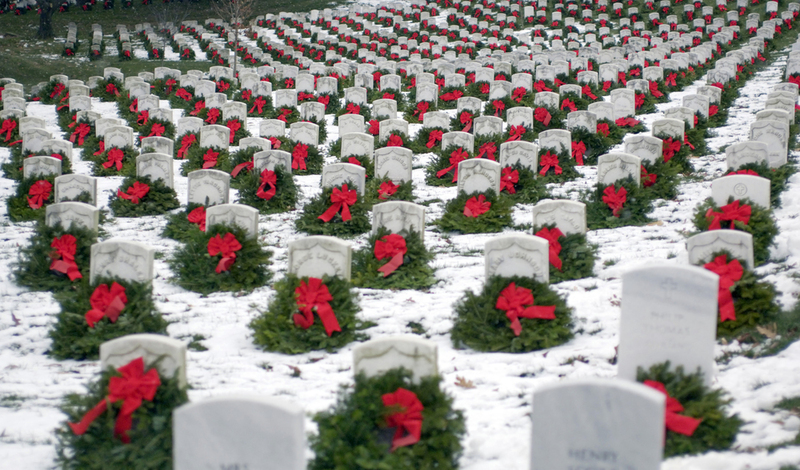 Wreaths Across America started as a grass-roots effort to remember those willing to serve and sacrifice. Last year their network of volunteers laid more than 700,000 memorial wreaths. Our legislative delegation was presented with one of those wreaths which was brought to State House in order that it is displayed proudly in view of the public and those who wish to honor the service and sacrifice of those who wore our nation’s uniform.